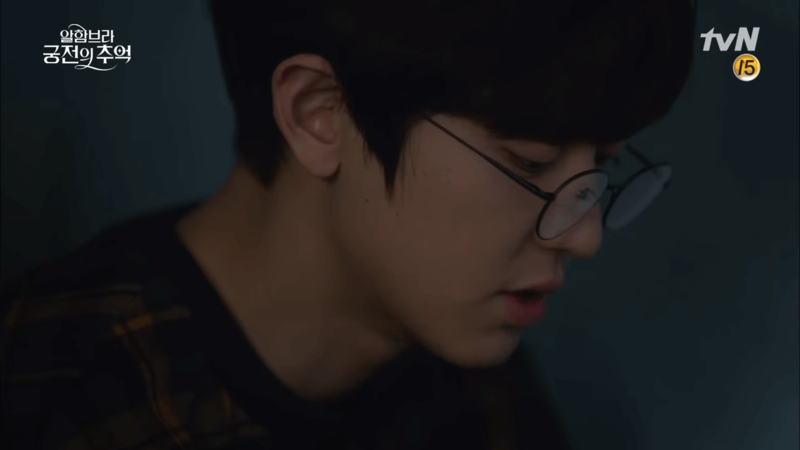 The final episode of “Memories Of Alhambra” has been released and a lot of Kdrama fans have already watched it and in case you don’t know, people are pissed (both netizens and international fans, which is rare to see). 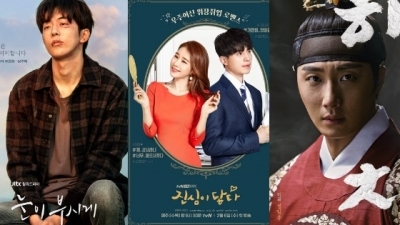 “Memories Of Alhambra” started out as an ambitious project by writer Song Jae Jung whose name is going to be repeated a lot in this article for obvious reasons. Basically, the final episode was an open ending, CEO Yoo Jin Woo gets deleted by Emma for being a bug in the game, Se Ju (the founder of the game) says he programmed Emma to stab whenever it detects a bug. The final episode was a PPL feast of Subway and Toreta. 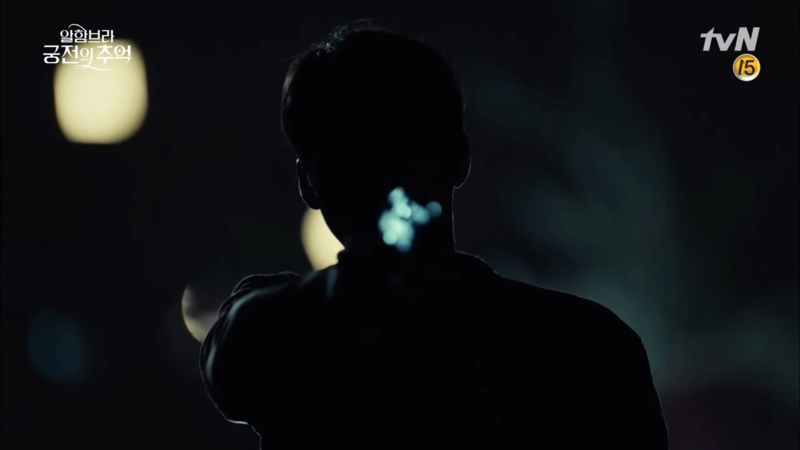 The majority of episode 16 uses flashbacks, Yoo Jin Woo gets killed off in the first minutes of the final episode. After Yoo Jin Woo gets ‘erased/killed,’ the game miraculously resets itself and deletes all data of what programmers have been working on for a year. Yoo Jin Woo’s body is never found and he doesn’t contact anyone after he allegedly got killed off. The game somehow still manages to get released despite people not knowing why there was even a bug to begin with or why the game reset itself. Se Ju, the teenager who built the game, also doesn’t know why it happened. Se Ju gets hired as the CEO (for some illogical reason) of a subsidiary company J One had established exclusively for him. Hee Joo decides to never give up on Yoo Jin Woo and says she believes he’ll return one day, towards the end of the final episode (in the last 5 minutes) we get a glimpse that hints at the possibility of Yoo Jin Woo still being alive. Se Ju explains it saying that only the master of the game can create ‘instance dungeon’ which is basically another world you can trap yourself in, like another dimension. Se Ju subsequently explains why he disappeared for a year saying he did the same to himself, when Yoo Jin Woo finished the quest he became the master and it’s likely that he can actually create an ‘instance dungeon’ to protect himself? I don’t know what he wants to protect himself from with all honesty, all bugs were deleted. Naver site was buzzing with articles discussing the ending of the drama which is almost an open ending in a sense; it also slightly leans towards the possibility of a season two, although I highly doubt anyone who was involved in the drama would return for a second season. [+148, -8] This ending was more shocking than ‘Lovers in Paris’. Actually, a dream would’ve been better. [+141, -0] I’ve never seen such an irresponsible ending. Did the scriptwriter get gravely ill in the middle? Are they alive? Or are they hiding somewhere? [+103, -2] What was the point of the scene of Bora marrying the grandpa.. so useless. So many useless scenes and flashbacks after flashbacks. [+3,154, -24] The scriptwriter got weak as it went on. Next time you write another drama, please make sure you flesh the whole thing out before filming it… The drama’s concept was great but it kept feeling like she was just rushing to fill in the holes as the episodes went on. [+1,990, -27] What a waste of Hyun Bin and Park Shin Hye’s acting skills. 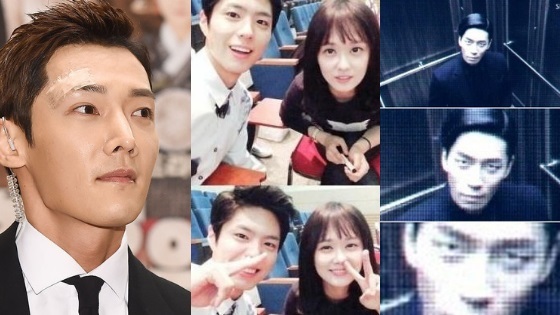 Please apologize to the two actors, especially to Hyun Bin for all the suffering he went through. Now, after explaining the ending and sharing netizens reactions I will be talking about my own opinion, if you happen not to like people who express their opinions, this where you stop reading. I have watched countless kdramas starting from 2012, some good, some terrible and some memorable but I haven’t seen a script so messy and weak in my entire life, and I doubt anyone can surpass what Song Jae Jung wrote, its in a league of its own. Logically speaking, Yoo Jin Woo bought the rights to the game. The moment the writer showed that the servers can be shut down, it compromised the entire fundamental idea of the AR concept. Yoo Jin Woo could have chosen to shut down the servers, risk getting the company bankrupt, return to Hee Joo’s arms, speak with programmers/hackers/developers to figure out the programming error in this game off-line in order to fix it. He knew he nearly finished the quest if he really cared about Hee Joo he wouldn’t just do that. After Professor Cha died he could have shut down the server, called the police, went through the investigation (he would have been proven innocent because of lack of evidence anyways), he could have restarted his life, the whole runaway situation from the police is flawed and illogical. 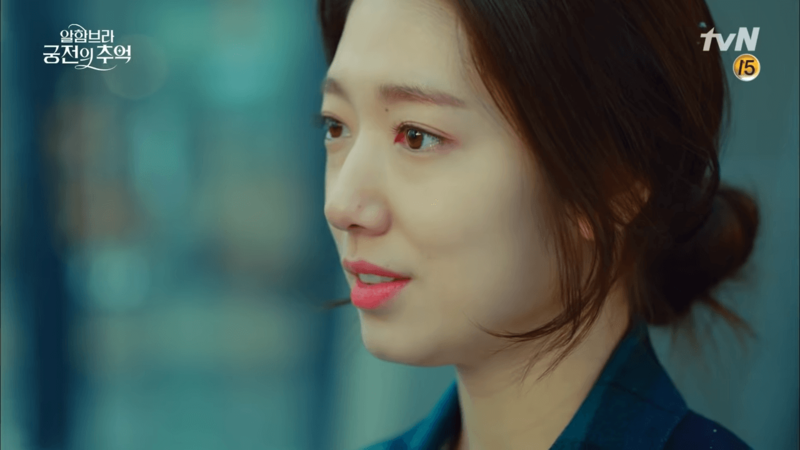 He could have told Hee Joo it would take him more time to get back her brother while he goes through the police investigation so he can logically think of what he should do and how. What was he rushing for exactly? Any experienced lawyer would have been able to get him out of the police investigation, he’s rich he can do it. The writer tried to create a sense of urgency when there isn’t really anything at stake. The writer portrays Yoo Jin Woo’s character as a rational smart man yet he made the most irrational incomprehensible decisions that don’t even match his character description and for what? it’s just a game! Also, how can a teenager be able to craft up to 100 missions in a game and think so far with the resources he had? how could he have plotted it out like that (telling Emma to kill bugs like that)? Also, J One has a smart team why couldn’t they decode the issue or find the source of the error? A team of professionals is surely able to detect and dissect every tiny detail of the game… that’s also another thing I don’t understand. I could be wrong with this part because I am not a programmer or developer but it just doesn’t add up logically speaking. correct me if I am wrong! For a drama to come a full circle everything needs to be top-notch, the writing, the directing, the production quality, the acting and the chemistry. All parts of this drama were near perfect except for the script. Song Jae Jung is a very ambitious woman, yet she can’t wrap her head around her own ambitious ideas. I like the fact that she’s ambitious and isn’t afraid of writing experimental ideas like that. What I do mind is when writers lead on viewers to believe a certain scenario that they’re unable to carry out. The reason writers (including myself) don’t write the scripts Song Jae Jung writes isn’t because we’re lacking, it’s because they’re very difficult to rationalize that’s why. I am currently working on my first novel with hopes of publishing it this year, I always start off extremely ambitious but end up toning down because I can’t logically explain a lot of it. I also give my novels and stories for my family and friends to read, because we all need a fresh eye to look at it from a different perspective and point out possible errors. Song Jae Jung also wrote “W: Two Worlds” which was a mess, when I first started watching “Memories Of Alhambra” I didn’t know she wrote it, half-way through the drama I checked out who wrote it and my heart sank, I knew she was going to mess it up. 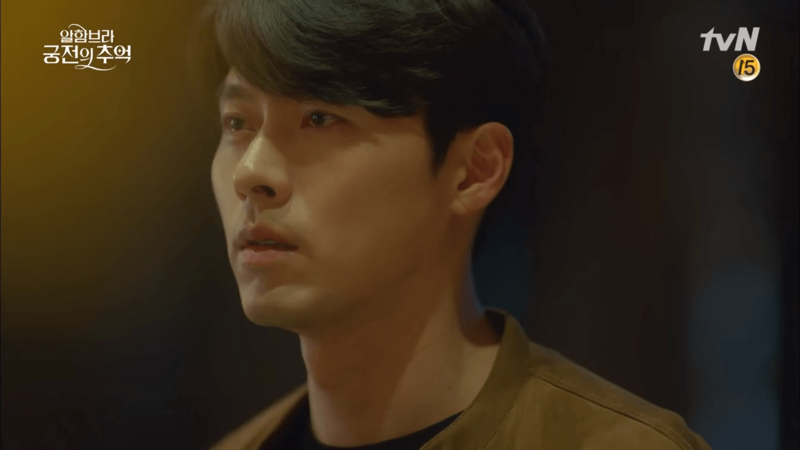 I held on because of the amazing performances, mainly by Hyun Bin who puts on his (in my opinion) best drama performance of his entire career. He was marvelous. It feels that Song Jae Jung didn’t completely write the script before suggesting they go ahead with the production. When you usually write a story/novel/script, it goes through rounds of proof-reading and editing. 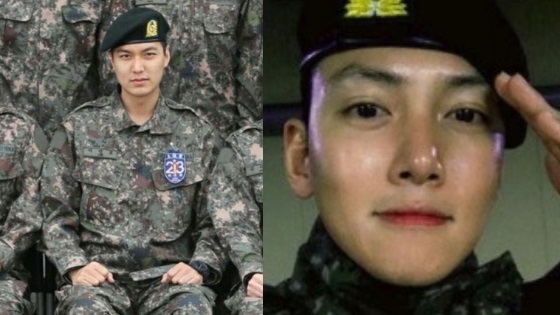 However, kdramas have a different approach, so I’ve learned. This is also why a lot of kdrama fans drop kdramas half-way through because this is when cracks start to show. 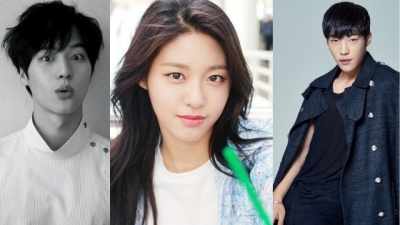 “Memories Of Alhambra” is a nice ambitious idea that should have been completely plotted out and written then went through rounds of editing and proof-reading before being even considered for a drama project. What’s sad is that people will now remember this drama for its flaws; I am not a young person so I don’t expect all the dramas to end on a happy note. I do appreciate it when they’re well-written regardless of whether the ending turns out to be good or bad. Real life is full of sad unhappy endings and not all kdramas end on a happy note but that doesn’t make them all bad. Song Jae Jung writes ambitious projects but towards the middle of her dramas, it feels like she either gives up or doesn’t simply care to follow up on the hype she created with the first part of her dramas. There are too many loose ends here and there for me to summarize in one article. 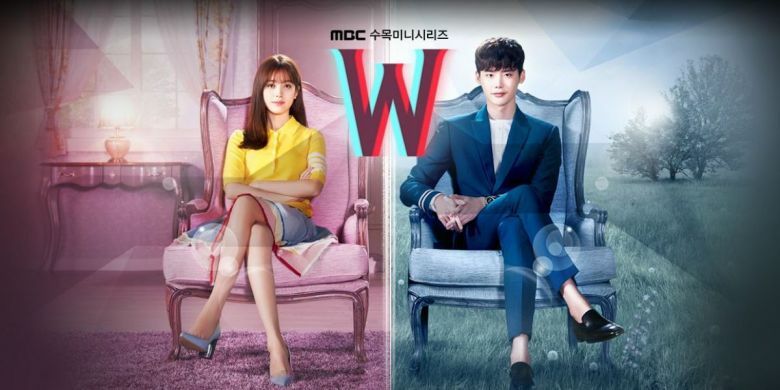 The same happened with “W: Two Worlds” but people tolerated it because it was a ‘happy ending,’ I was fuming after watching “W: Two Worlds” final episode. I took a look at her portfolio, and man its long, she’s been writing ever since 1998. Anyone would think she accumulated enough experience to at least tell if an idea is plausible or not. Here is the silver lining to all of this, the drama was a lot of fun. I really enjoyed my time up until the second half, that’s when I started to worry. There are far too many plot-holes for me to count. The execution of her ideas is messy at best. There isn’t any cohesiveness at all. It’s was so bad that even young people without much experience can tell there is something fundamentally wrong with the script. That’s when you know, you’re in deep trouble. I feel sorry for everyone involved in this production, specifically Hyun Bin. Did you guys know that the filming took 7 months? 7 months and this is how his performance gets rewarded… it’s a shame really! What did you guys think of the ending? Well. I do enjoyed the show a lot. Because from the moment Dr Cha is dead, I have just taken it as a fantasy series. In fact, nothing has been logical at all since the beginning, and that is what picked up my interest. I must say, why dont people look at the good side of it and the enjoyment it brought instead of scrutinizing every points and loopholes in it. Yea, maybe that’s how self proclaimed true audiences are like and casual audience like me are just too dumb to differentiate a good and a bad series eh. So does an ending with suspense is bad? Well, not all dramas or movies end the way you want it. Must they be like reconcile and reunion only considered to be a good ending? I find it totally acceptable though. Maybe I’m not as professional as you guys are. I am glad you did. Ya in a sense its not logical because it speaks of a technology thats way ahead of our time. However, in case you didn’t fully read the article I am talking about the sense within the fantasy world she created. I am not even questioning the validity of the entire game because if I go that route it would be stupid on my side. Fans have been trying to make sense of the plot given the information she created throughout the 16 episodes. You don’t have to be smart to realize the script was extremely messy. I personally never anticipated a happy ending but a logical one even if it was going to end with the death of the main characters. Also for people who gave away 16 hours of their lives, its okay to discuss the points of the plot and that doesn’t qualify as ‘scrutinizing every points and loophole’ I know some people are doing that, but the majority is discussing the validity of what she wrote within the boundaries she set! I totally agree every bit you say! I am very furious with the writer and how she didn’t bind things up. they could have make 20 episodes. she didn’t even let us enjoy a moment of Hee-juu seeing Yoo Jin Woo in the final after watching all that unnecessary wedding scenes or taxi scenes for minutes!I couldn’t believe this was the final episode.. I am so sorry for the great actors. Me too. I am really sad with the ending. That ending was utter trash. It proved the writer is a narcissistic, malicious b****. She knew damn well what the viewers wanted to see, what they *needed* to see, what they deserved to see. But she instead decided to emotionally f*** everyone for her sick enjoyment. I absolutely despise that writer. I knew it! I had a bad feeling for this kdrama! I should have trusted my kdrama instinct and stop at episode 4! I invested a lot of feelings and time for this kdrama, because of Hyun Bin and Chanyeol~ and the story concept was good! But then, if only I had searched first who is the Write-nim, who also wro W:Two Worlds! Then I should really have not watch it all the way to the last episode~ I am so full of regret! I wanna cry for myself! Why?! And what ever happened with Margo? Isn’t he one of the bugs too? exactly! that is another messy and unsolved part! I just finished the ending last night an i don’t know how i will react. I just want to know what happened next. Maybe they need to re-start again the game and someone need to complete the quest enable for him to be out on the “instance dungeon”. He was alive in the other part that no once can see him. Maybe Emma is the one who needs to complete the quest again. I agree. I wish they made Se-Ju play his game! This is also one of the questions I had when Yoo Jin Woo started to kill the bugs. How will he able to kill Marco? is he going to meet Se-Ju to have an alliance so he could see him and kill him considering he is a bug and why is Jin Woo considered a bug? Shouldn’t this also mean that Se-ju is also a bug? I mean the bug all started when Marco stabbed Se-Ju with real knife. I totally agree about the ending was way too absurd, im fine with sad ending tho but the writers gave an 50/50 ending which i still can’t get it why. If What se ju said about instance dungeon is true then why the new player can see yoo jin woo? but when se ju were the one who got stuck in instance dungeon no one can see him? Se ju only stayed in the instance because he was afraid and in hiding until someone completed the quest: he was never stuck. That also means yoo jin can freely exit and enter the instance dungeon whenever he wants too as he is the master now. I came to this assumption is because at the end where he helps out the 3 players his gun phases in and out from the instance so he couldn’t be seen by them. The time that he was spotted might have been when he was out of the instance. emma? Why didn’t se joo inform her sister about the instance dungeon even though he can see that she’s sad obviously? Instead of writing a meaningful plot, they filled the drama with a bunch of unnecessary scenes. They do this, because they earn money anyway. Probably they didn’t want to delay the shooting of the series by going through iterations of script update not to miss this ar hype or maybe actors/actress were busy with other projects next year so they had to start it immediately. They know they’ll earn money anyway with these actors/actresses and with this ar game idea. Because even though many things annoyed me, I enjoyed it anyhow. Especially the first half. So probably they know they have a strong first half in their hand that is enough to hook viewers. They leaved the rest to the romance and some mysterious stuff which they wrapped up sloppily in the last two episode. I just finished the series. WHYYYY?!!! 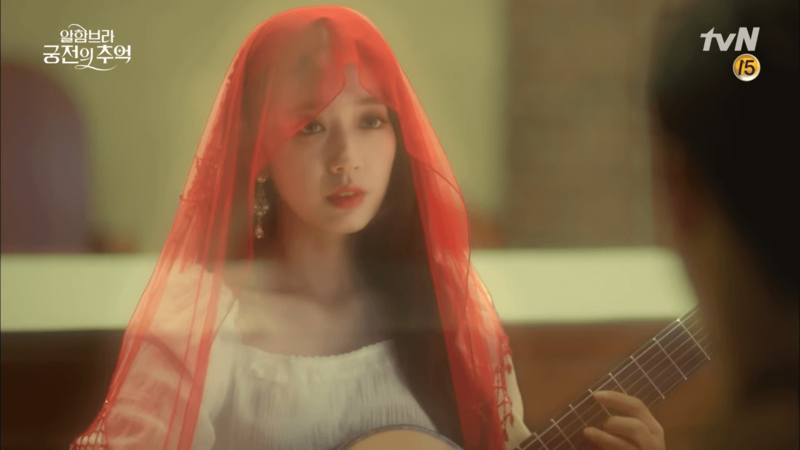 I waited for the time where Hee-Ju will play the piece of “Memories of Alhambra” for Jin-Woo’s sake. He asked her to at least play it for him. But why?!!! And the ending really killed me. 1. Marco is a bug. He miraculously disappeared. Where to? 2. How did se ju come back? Which timing did he released himself? What was the trigger? 3. Only dead people are bugs. Jin wo is not a bug! 4. They didn’t explain how a person becomes a bug. Some can get killed in a game and not die, some can. 5. They didn’t explain why you can log on without lens either. Wayyyyy too many unnecessary flashbacks. This is one of the poorest drama which I fell asleep at the last few episodes, wake up and still showing the same thing. I didn’t have to rewind to understand the plot. The last quest should stop after he got the key. The mobs should stop coming. He was still killing. The mad ex wife is too shallow. Her abrupt plunge of events were merely told by a reporter in 5secs. Wow. I wouldn’t recommend this drama to anyone. Just watch the first and last episode you are done with it. The best theory I could come up with is that Jinwoo is playing as himself in a virtual reality game in which he plays an augmented reality game. This could explain the issues with the plot holes too. Like, an inception game that has glitches in it. Jinwoo could have disappeared at the end because he simply logged out or turned the game off and RESET it because he was tired of the glitches interrupting his gameplay. He was playing the game in the game he isn’t injured. In real life he is injured. You’re review is very helpful and I already agree with you even though I haven’t even watched the drama but I felt like I was reading a review I, myself, had written. So I’ve been reading reviews here and there, debating whether I should watch this drama or not because a Friend of mine who has watched it already told me that “Don’t watch it. I know you. You’re gonna go all critic on it. You will not like it”. Although I was still trying to find an opinion that would tell me to watch it but as soon as I read that this is the same writer who wrote “W”, I made up my mind to never watch it because I’m sure it’s going to be a trainwreck. AND THIS IS SO DISAPPOINTING because I’ve been looking forward to watching this drama since it started airing because I don’t watch anything unless it’s complete already. 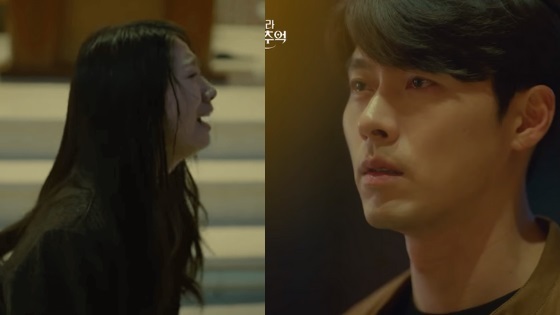 Hyun Bin and Park Shin Hae are amazing actors and I love them both and damn I AM DISAPPOINTED. I think you should watch if if you are someone who sees the deeper picture and not just the base of things. I disagree I think that people aren’t looking at the deeper picture. Woo Jin said that he had to solve the quest or else all the deaths would have been in vain. He had to run from the police because being constricted by handcuffs would have cause him to die especially if Dr. Cha arrived. Yeah, he could have definitely just went back to his girlfriend and told her that it would take time to find her brother but that would have caused her to worry. He loved her so her sacrifices himself to save her family. In my opinion that shows true love. I liked this drama overall, except the ending. It was better to be sad ending after he decided to end the game by deleting bugs including himself, if they let out hopes up as it kept us wondering Jin woo’s whereabout. In the last episode, in the very last minute Seojun (brother) revealed about the inner dungeon, which made me think Jin woo would come back at last. But it was such a disappointing that he is still trap in the game helping other players rather keeping promise to come back to Hee jin. I don’t understand why Jin woo need to be trapped in the game knowing Hee jin is waiting for him to come back. It is so unfair after he lost everything. He survived and he solved everything then why cant he get out the game when bother could? this drama should be 20 episode long or at least have two more extra episodes to conclude with better final. Je me demandais si pour libérer Jin Woo du jeu un autre devait devenir maitre du jeu ? 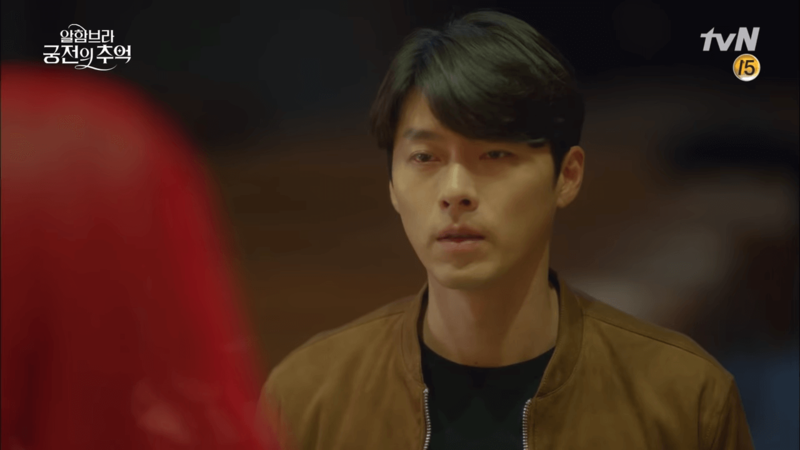 Assistam Hyun Bin da um show de interpretação.Só para vê-lo interpretar vale a pena assistir o drama.